"How much do you expect to pay (in dollars) for a public charging station that takes 29 minutes to gain 80% charge?" 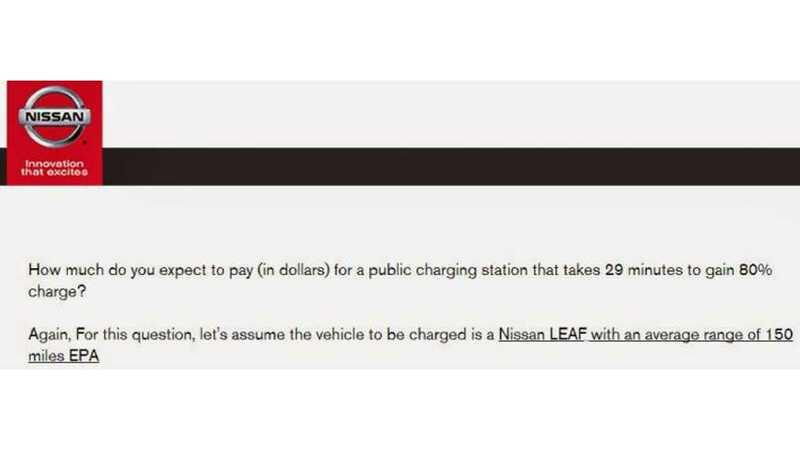 As Nissan notes, we should assume that the vehicle being charged is a "Nissan LEAF with an average range of 150 miles EPA." 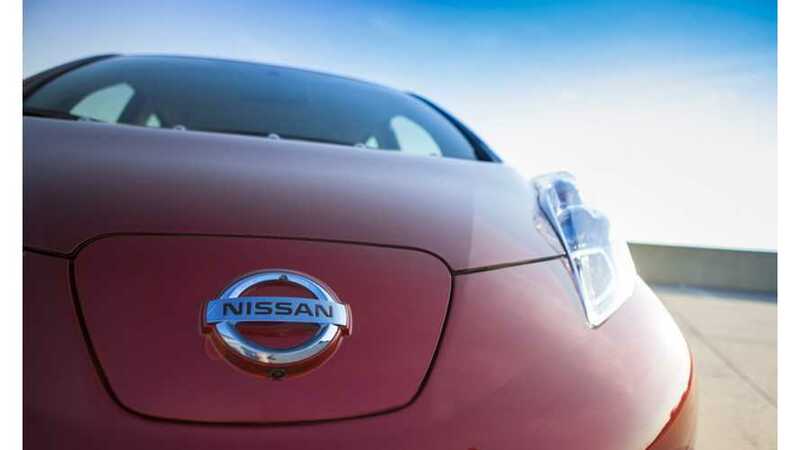 The selectable answers for Nissan's quick-charge question range from $0 to $50. Again, this survey question doesn't guarantee that a 150-mile Nissan LEAF is coming, but we're fairly certain that work is already underway on such a vehicle. So, what would you pay to quick charge it? And when do you think the 150-mile Nissan LEAF will launch?